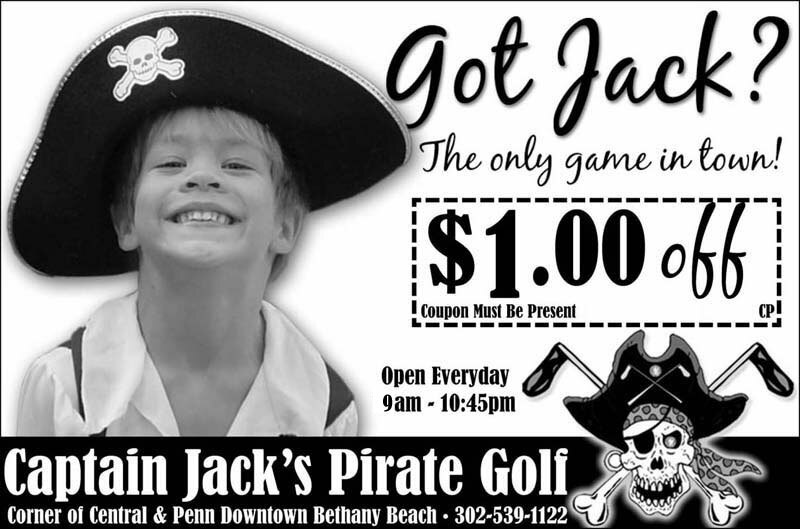 Captain Jacks Pirate Golf staff would like to offer our pirates a discount coupon on your next golf outing. Contact us through our “Contact us” section of our website for information on our birthday party specials. Inquire about our great group discounts of 10 or more. A block from the boards at a price you can afford!